Coaster and Amtrak Surfliner train service will be suspended between Oceanside and downtown San Diego for two weekends in March as rail construction continues, the San Diego Association of Governments announced Feb. 22. 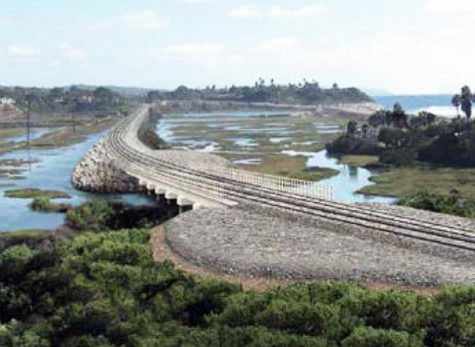 Coaster and Amtrak service will be halted Feb. 9-11 along the San Diego portion of the Los Angeles-San Diego-San Luis Obispo coastal rail corridor for construction work. Coaster and Amtrak Pacific Surfliner train service will be suspended Jan. 12-14 for ongoing work on the rails, according to a San Diego Association of Governments notice. Cardiff residents can expect parking closures and occasional construction noise along San Elijo Avenue as preliminary work begins on the Encinitas segment of the Coastal Rail Trail, project officials announced April 27. 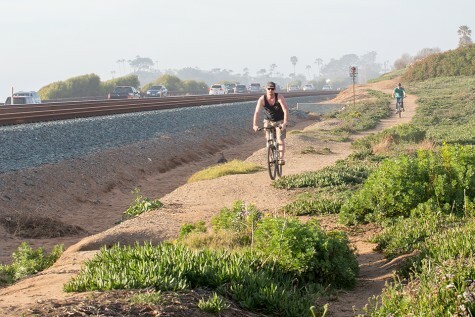 Cardiff’s section of the Coastal Rail Trail has stirred up controversy for almost two years now, but even with the Encinitas City Council’s approval, the project isn’t rolling forward just yet.